On April 20, 1949, the Royal Navy frigate HMS Amethyst was cruising up China’s mighty Yangtze River as hundreds of western gunboats had done over the previous century. The Amethyst had been ordered to relieve HMS Consort which was guarding the British Embassy and British interests at the Chinese Nationalist capital of Nanjing. Around 9:30am, without warning, a People’s Liberation Army artillery battery opened fire on the vessel. The PLA battery rained a deadly barrage of shells on the ship, quickly disabling her and mortally wounding her captain, Lieutenant Commander Bernard Skinner. The vessel quickly found herself aground and unable to return fire due to the geometry of her grounding and damage sustained in the initial barrage to her fire control mechanisms. Non-essential personnel were ordered to evacuate the frigate, but the PLA began targeting the small boats with artillery and snipers. By the time the firing ceased at 11am, 22 Royal Navy sailors and officers lay dead with another 31 wounded. HMS Consort arrived at 11am to lend her support and quickly suppressed the PLA fire. Unable to take the Amethyst in tow, the Consort concentrated on lashing out at the gathering horde of PLA soldiers. Another ten sailors were killed and three wounded during the Consort’s efforts. Not until later that night was Amethyst refloated, however, she was unable to escape and thus began a tense ten week siege during which the PLA refused to allow supplies to reach the vessel. For those to whom the British Empire represented, despite its flaws, a force for the rule of law and economic development, the Amethyst Incident represented the beginning of the sunset on Her Majesty’s Government’s influence in China. For those who viewed the expulsion of foreigners as the beginning of a great socialist experiment, the incident instilled pride which, unless one were a party elite, was crushed in the years following “Liberation” as Frank Dikotter has so eloquently elucidated in his latest book The Tragedy of Liberation . As relations continue to deteriorate between China and Japan over the Senkaku/Diaoyu Islands, it is easy to forget that China has had previous conflicts over other island chains that exist in close proximity to its borders. One such conflict occurred on March 14, 1988 between Vietnamese forces and elements of the People’s Liberation Army Navy (PLAN). Taiwan, the PRC, Vietnam, the Philippines, Malaysia and Brunei have all laid claim to the Spratly Islands, an uninhabited collection of 750 islands, reefs and atolls in the South China Sea. Apart from rich fishing grounds and possible oil and gas deposits, the islands have no economic value; their primary value being geopolitical in nature. In early 1988, Vietnamese forces began landing forces and construction supplies at one of the reefs in order to further their claim to the area. A short skirmish erupted when the Vietnamese forces encountered a PLAN squadron. Despite this confrontation, the two countries continued to operate in the area until March 14 when PLAN and Vietnamese forces again collided. This time the firefight was more intense and by the time it was over two Vietnamese transports had been sunk and another heavily damaged. While the Chinese suffered no casualties, the Vietnamese lost more than 70 sailors in the short and sharp encounter. The Chinese victory, now known as the Johnson South Reef Skirmish, allowed the PLA to occupy several more reefs in the area and expand their area of influence at the expense of Vietnam. A resolution to the issue between the multitude of sparring countries has yet to occur and provides simply one more smoldering match to the growing powder keg that is the South and East China Seas. 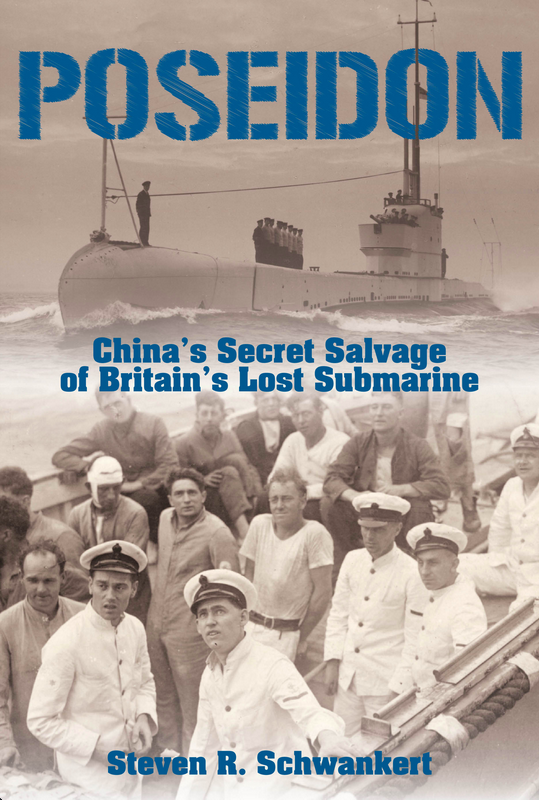 In his new book, Poseidon , expat journalist and diver Steven Schwankert brings alive the unfortunate sinking and mysterious salvage of the Royal Navy submarine HMS Poseidon. Over the course of several years, Schwankert meticulously researched the history of the Poseidon via trips to UK archives, Chinese museums and libraries and even a dive on the wreck of her sister ship in the Ionian Sea. 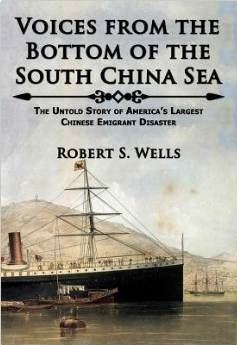 Schwankert’s research shows in the compelling manner in which he unfolds the story of the Poseidon, her crew and their fate, and the subsequent history of the vessel in the context of greater Chinese/world history. The book especially shines in Schwankert’s dogged determination to get to the bottom of the story. His investigative efforts bear fruit in the later pages of the book as he brings to life the terrestrial surroundings of Poseidon’s sinking on Liu Gong Island. Readers will be engrossed by the dramatic escape of some of Poseidon’s trapped crew members and the mysterious disappearance of the wreck from the sea floor. Poseidon helped make a trans-Pacific flight pass by in almost no time at all and is well worth the read. China history buffs, maritime historians, lovers of detective novels and any fan of Dirk Pitt will enjoy the tale told by Schwankert in Poseidon . The ghostly image above resulted from the wreck of the record breaking clipper ship Hallowe’en on January 17, 1887. The Hallowe’en was loaded with 1600 tons of tea from Shanghai, China and she ran aground in a storm off Soar Mill Cove in the United Kingdom. Tea clippers were designed to quickly bring the latest crop of tea leaves from China to western markets. The Hallowe’en briefly held the record for fastest voyage from Shanghai to London in 1874 when she made the voyage in a mere 91 days. The ship eventually sank and can now be visited by divers. Xinhua News is reporting that China is building its first dedicated marine archaeology vessel. 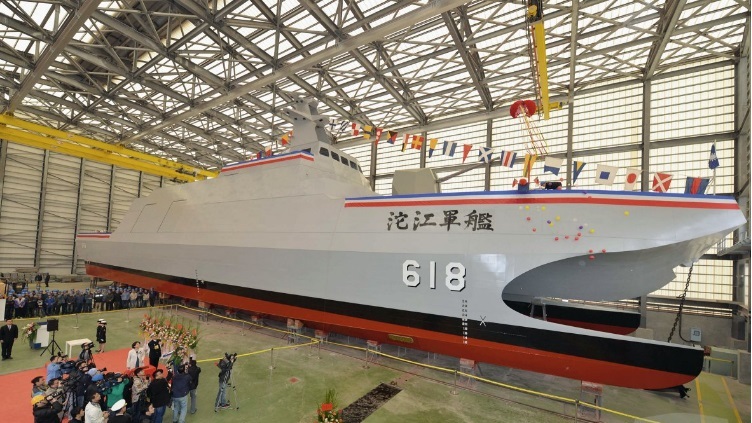 The ~175 foot ship will displace 860 tons and have the ability to both locate and excavate shipwrecks within Chinese coastal waters. Operated by the State Administration of Cultural Heritage, it will be put to use finding and preserving China’s numerous ancient shipwrecks. 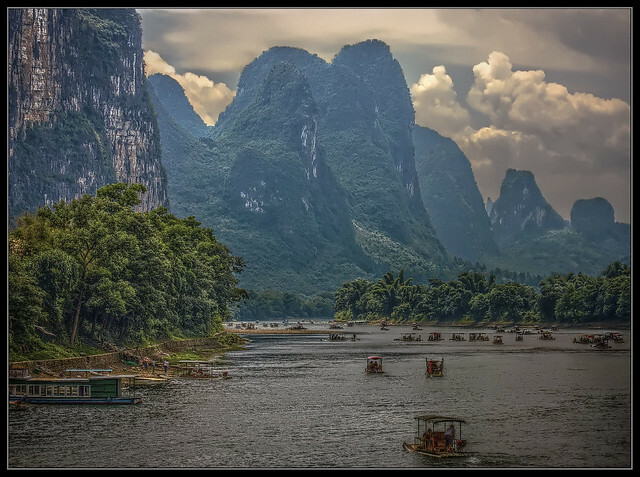 Much like Vietnam, China has the potential to be the location of a vast number of discoveries due to its society having been stunted from revolution, insularity and the ravages of communism. Today, the increase of both nations’ wealth and openness to the world has created opportunities for marine exploration to blossom. Currently, Chinese marine archaeologists must rely on rented fishing vessels to serve as expedition platforms, although in the case of the Awa Maru project, the Chinese government spent millions on a dedicated salvage barge.